Many have asked for a functional schematic drawing. Now seems like the perfect time to release it. The AIR-T was designed assuming that the user requires tight frequency selectors and gain control. Instead of creating a pre-selector and LNA subsystem that is not ideal for a specific applications, the Deepwave team believes that placing your own frequency selector and LNA gives you the most flexibility. 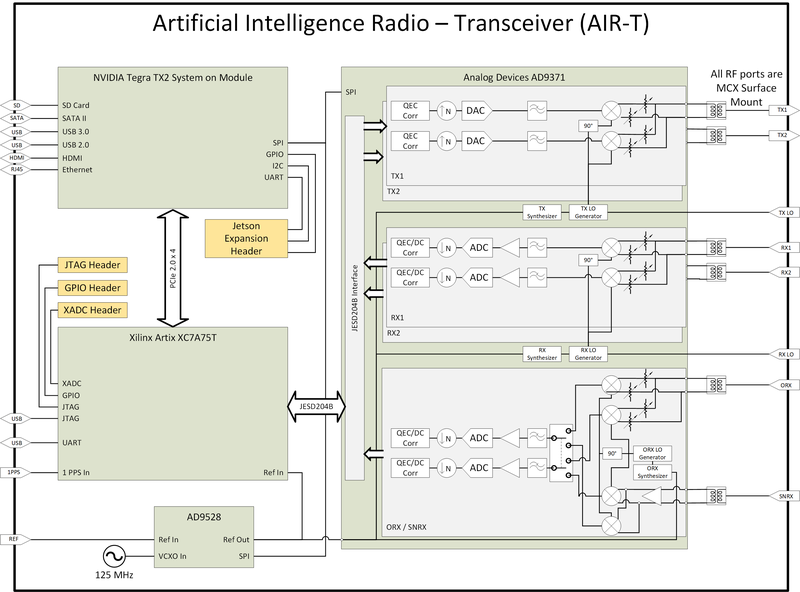 The AIR-T has plenty of digital I/O to allow for control of these components via the FPGA, RFIC, or Tegra module. If you have any questions, please reach out to us.